We are considered to be one of the trusted Event Organizers in Nagpur (Maharashtra). 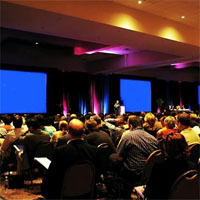 We specialize in organizing Private & Corporate events in Kerala, Goa, and Himachal Pradesh. We have a full fledged team that takes care of all aspects of planning and successfully executing any private or corporate event. Our experienced and dedicated team of professionals is in regular contact with the clients for feedback and suggestions. 100% customer satisfaction is our ultimate objective. If you have any special requirements regarding the event you want organized, all you need to do is get in touch with us & we will make it happen.